Are you ready to bid farewell to the longest running and most financially successful movie franchise of our time? It’s been revealed MGM has canceled the new James Bond project due to lack of finance. James Bond 23 starring Daniel Craig and directed by Sam Mendes was put on hold earlier last year with hopes to get back to shooting some time later this year. However, due to the fact that MGM is currently in $3.7 billion debt, studio bosses see no chance to get on with the movie. The James Bond project is dead. Facing serious financial problems, the studio, however, doesn’t cancel their other big thing – The Hobbit. Looks like big-footed, big-eared little people are more interesting for people than a handsome muscular guy flaunting his six pack while saving the world from bad guys in the James Bond franchise. 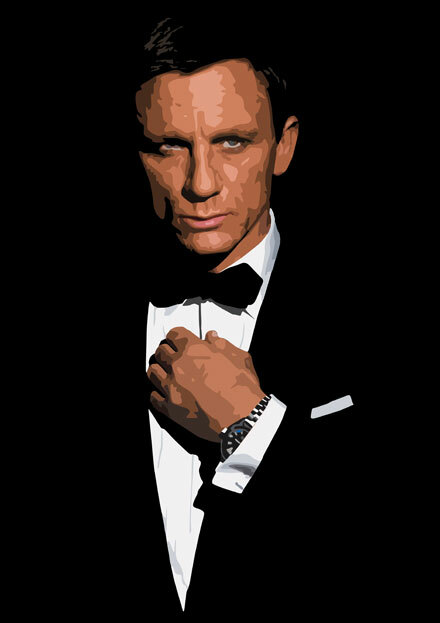 FYI, James Bond 007 as a fictional character was created in 1953 by writer Ian Fleming, who featured him in twelve novels and two short story collections. The first James Bond movie, Dr. No was released in 1962. The likes of Sean Connery, Timothy Dalton, Pierce Brosnan and Daniel Craig have played Bond in 22 movies of the franchise. Will you miss Bond ?